This Throwback Thursday post is all about the craziness of Easter Sunday 2010. Now for the record, I’d like to say it wasn’t my fault 🙂 totally was, but still! After going on a hike with a friend of mine one morning, I decided I wanted to check out this old barn where I’d ride my mountain bike past a few years ago. 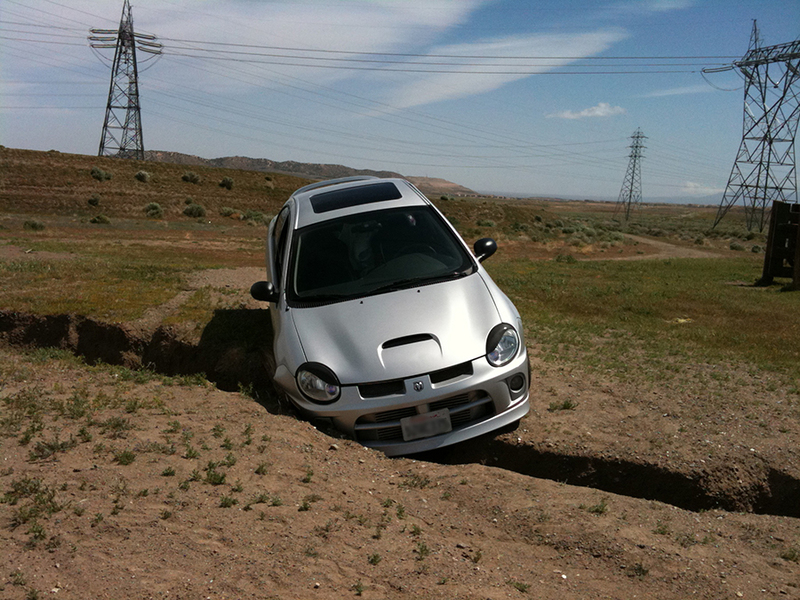 of course, she tells me, NO Donte “the awesome” we are not going off-roading in your car. I as like pssh my car I’ll do what I want. 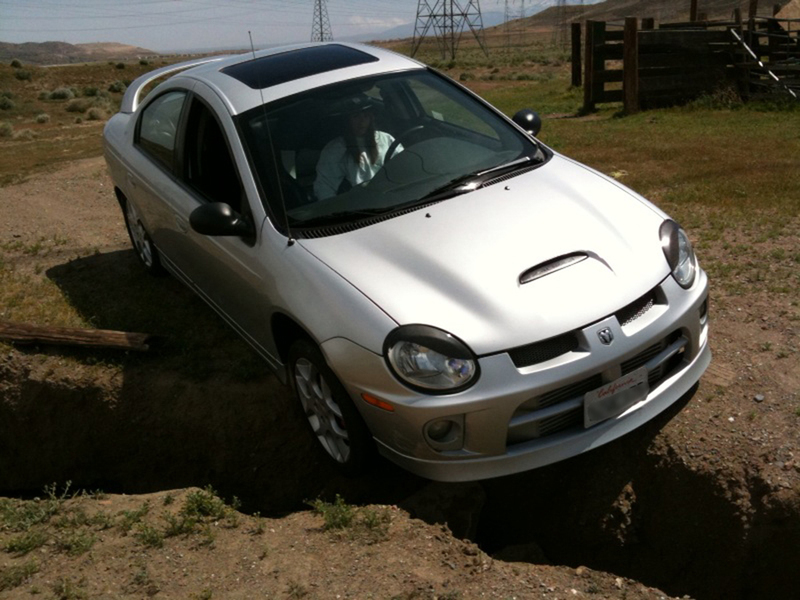 Probably should have listened to her, because while driving on this dirt road in a slightly lowered SRT-4 (it’s a like a Dodge Neon on steroids) I was looking out the passenger window at an old wooden structure and the next thing I know we were in a ditch. 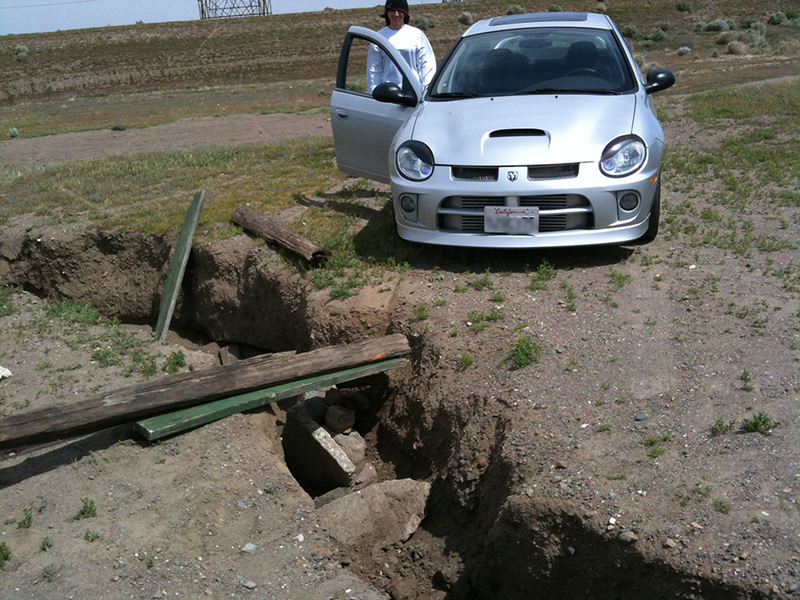 I swear the ground just opened up out of nowhere, OR there was an earthquake and we didn’t feel it cause we were in the car cause that ditch was not there two seconds before. So there we were stuck in a ditch on a cold day out in the middle of nowhere. What could we do? we couldn’t call AAA, How would I explain that? or even where we were? “uh ya, I need a toe truck to get us out of a ditch” “we are…. well you go on this road by this school and drive up it for a little bit and turn like right at the somewhere or left one of those two and…..” you get the point. We could have walked back but it was cold and we were pretty far out there. What did we do? How did we get out? well luckily we were at the location I wanted to see but all that was left from the house was an old crusty horse corral. So using my MacGyver skills I thought well all I need to is to get some traction under the front tires. 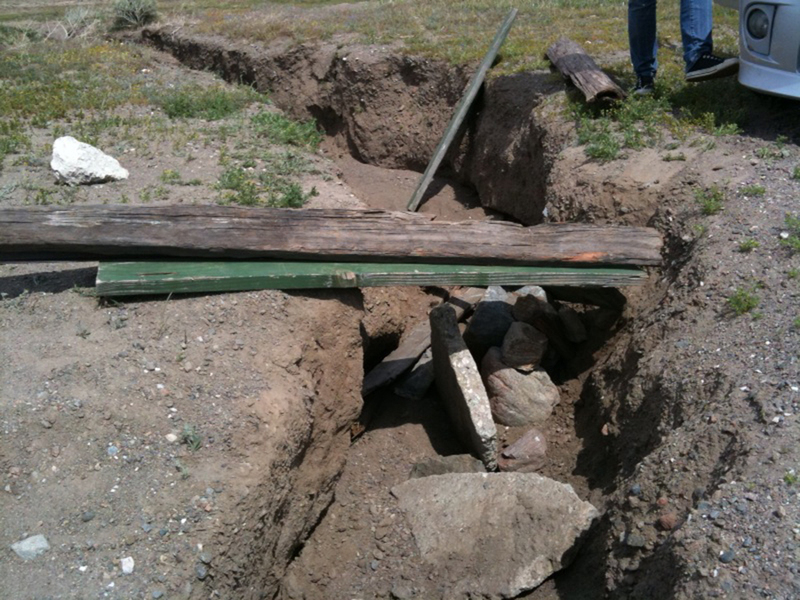 So we found some wooden planks from off the corral, found some giant rocks and stuffed them in the ditch to make a wedge but it still wasn’t working. It’s a good thing she knew how to drive stick because to get enough leverage under the tires I had stand on the end of one of the planks so the tires could grab some traction on something. I yelled FLOR IT!! and after an hour of being stuck, we were out and only had a few little scratches on the car. how lucky is THAT! Of course, you know I thought it was funny the whole time.